Isolated and unforgiving, the barren landscapes of Namibia may appear void of any significant attraction. 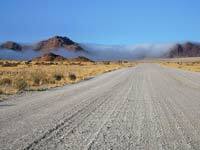 But these timeless and mysterious landscapes are home to an incredible diversity, from the haunting shipwrecks along the Skeleton Coast, to the abundance of wildlife in Etosha National Park, the awe inspiring Spitzkoppe, the majestic Dune 45, the red sands of Sossusvlei, Fish River Canyon, and Swakopmund—the action packed adventure capital of Namibia. Wherever you go in Namibia, the scenery never fails to evoke great wonder and no matter what you find, there is always more waiting to be discovered. Here are the best five things to do. Rising out of the red deserted earth, the Spitzkoppe mountains appear as a series of lone and jagged peaks, imposing themselves on an otherwise entirely flat horizon. 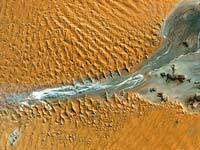 These 120 million year old granite peaks are located in the Namib Desert, on the far west of the country. 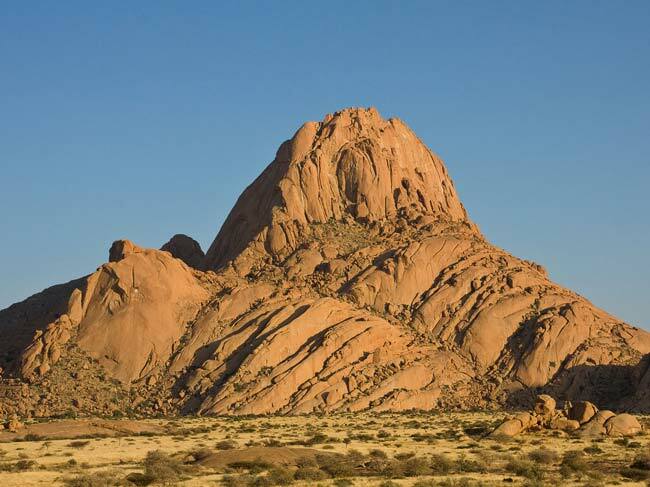 The highest peak, Spitzkoppe, rises 1,784 metres above sea level (and 700 metres above the surrounding desert floor). 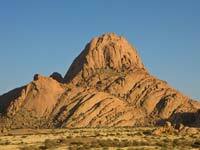 Next to it is found Little Spitzkoppe, weighing in at a still impressive 1,584 metres. 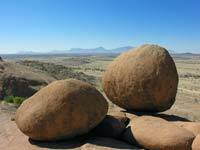 Spitzkoppe is German for pointed dome, though Spitzkoppe itself is often referred to as the Matterhorn of Namibia. Arriving to a nearby ghost-like village, it would appear that some forms of life do in fact survive in the area, but camping at the vast campsite at the foot of Spitzkoppe is a primitive experience that will leave you in no doubt for how truly isolated it can feel in the desert. Not only are these dramatic rock formations an awe inspiring sight, but you can also hike or climb amongst them, traverse long deep crevices, up over immense boulders and across long flattened table-like platforms. With no marked trails and no footsteps in which to follow, the rocks are an adventure and the endless number of viewpoints as you explore them are simply unforgettable. Wildlife does exist in the desert, there are snakes, antelope, gemsbok, zebra and even the elusive leopard, but a trip to Spitzkoppe is more for the sake of finding complete serenity in a most beautiful place. When light begins to fade, you are left in now wonder for the reasons why, as the rocks reflect a darker shade of red and a stunning desert sunset takes a hold of the skyline. While camping is common throughout the country, visiting the Spitzkoppe is one of the most unique things to do in Namibia which is largely due to the scenery and natural surroundings, something emphasized when night falls and a canvas of shining stars light up the sky above. The Skeleton Coast has long been known as one of the most treacherous stretches of ocean to navigate in the world. The Southern tip of South Africa is steeped in folklore and famous when it comes to sailing, exploration and discovery. 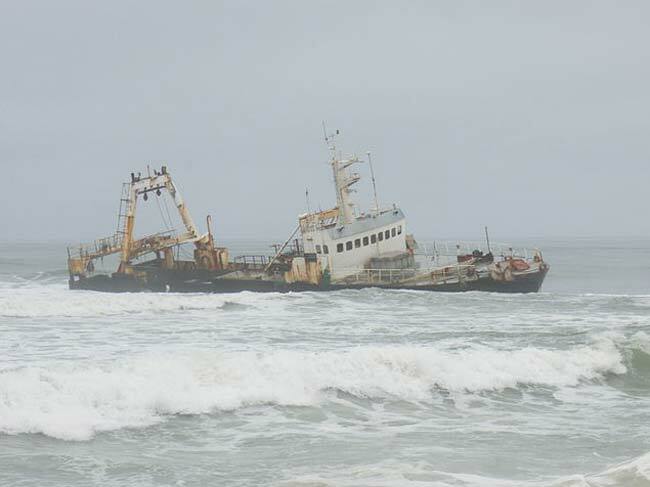 Likewise, the Skeleton Coast in Namibia is synonymous with tales of misfortune and tragedy as witnessed in the number of shipwrecks lining the coastline. 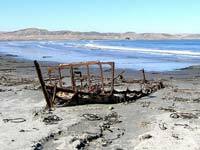 In fact, these very shipwrecks are the reason for it being named the “Skeleton Coast” and all along this part of the coast, a series of haunting and enchanting shipwrecks tell a story of desperation, isolation and disaster. Some are rooted into the shallow waters and others lodged deep into the sands, but each of them evoke vivid images of stranded sailors facing up to the haunting prospect of entering a desert to seek another means of survival. 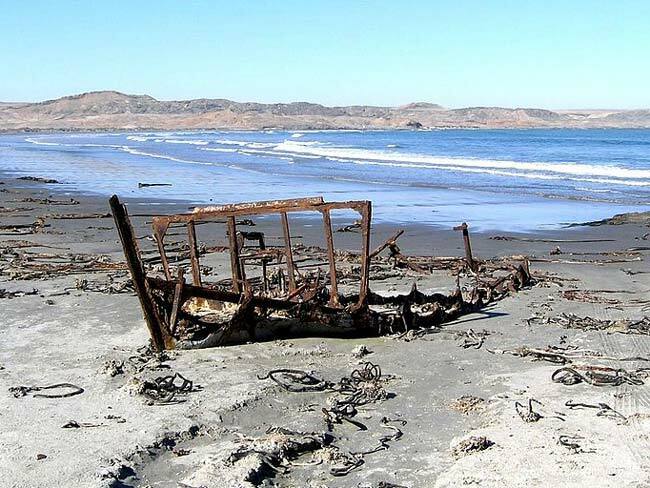 Back then, sailors referred to them as the “Sands from hell” and today there is simply no wonder as to why, for the Skeleton Coast is a truly inhospitable place. 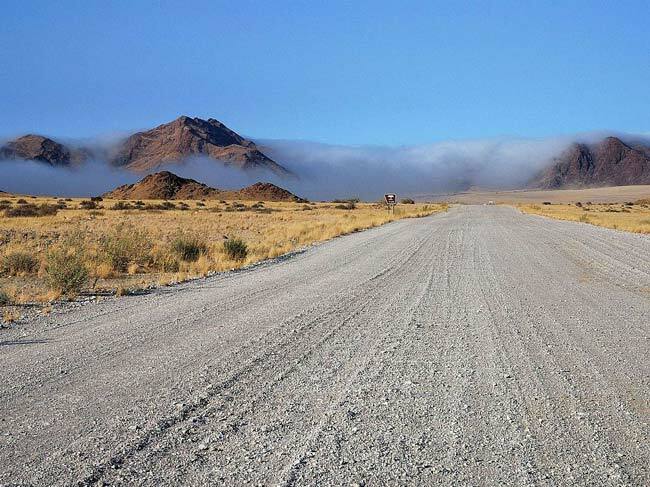 Driving the Skeleton Coast is also a journey through some of Namibia's most stunning scenery. As a dense fog sweeps in from the Atlantic and disappears over the sands, brown hyena and jackal can often be seen scavenging across the empty plains. In addition, there are reptiles here and also the iconic oryx. All that said, the sheer scale of the landscapes are the most memorable part of the experience. 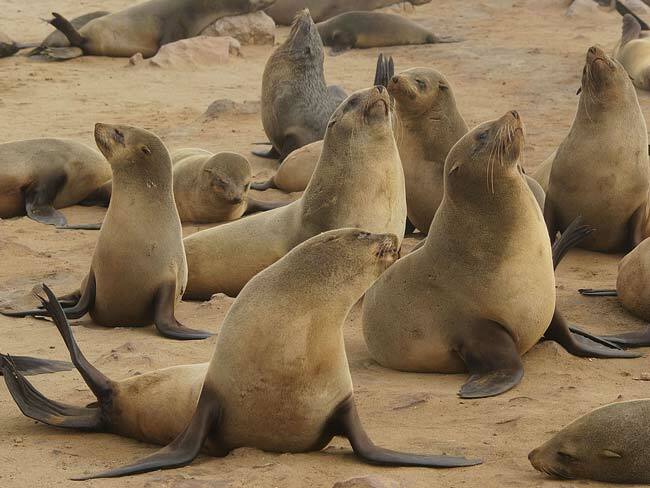 Arriving at the immense Cape Cross Seal Reserve just north of Swakopmund, it is clear as to why driving the Skeleton Coast is one of the most popular things to do in Namibia. Here you will find the largest number of Cape Fur seals anywhere in the world: up to 210,000 during the months of November and December. In addition to the seals carpeting the beaches, and listening to their bleats and barks, there is the other animal life that they attract (including kelp, cormorants, copper sharks, killer whales and jackals). If you wish for stunning landscapes, haunting shipwrecks and unexpected encounters, this is an adventure that will live up to every expectation. 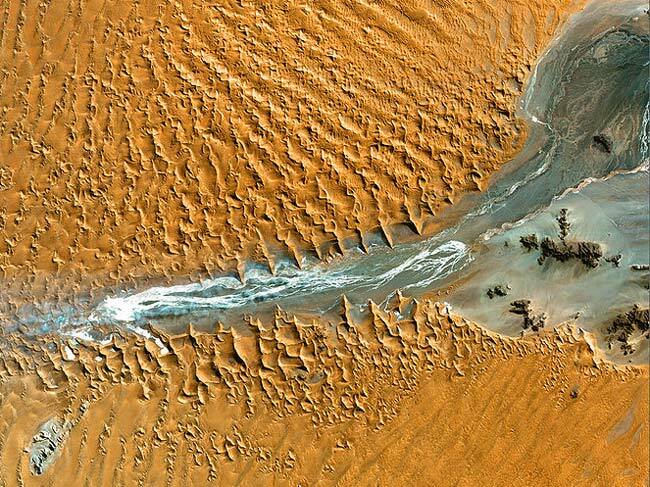 Located in the very south of Namibia, the Fish River runs through the second largest canyon in the world. Stretching all the way across the border into South Africa, Fish River should be right at the top of any list of things to do in Namibia. 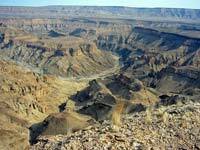 Reaching the canyon is relatively easy and a wonderful experience in itself. Regardless of which direction you make the approach, the dirt roads through scorching sands gradually change until you reach what is one of the most iconic sights on the planet. 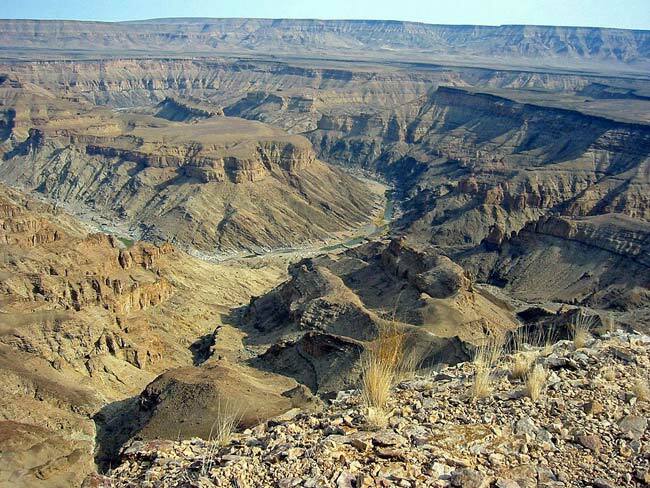 Five hundred meters deep, 27 kilometers wide and 100 kilometers long - these are the stats which attract many visitors to Fish River Canyon, the second most visited attraction in Namibia, but no statistics are needed to explain what is a truly majestic sight. After a long drive beneath the desert sun, the entrance gate to the region is a perfect place to freshen up with there being a swimming pool, toilets, showers and a small kiosk with soft drinks. Many baboons and monkeys can be found in the area, but as you continue driving the long gravel roads down toward the great canyon itself, everything disappears into the widest ravine imaginable and a scale of rock formations rivaled only by the famous Grand Canyon. 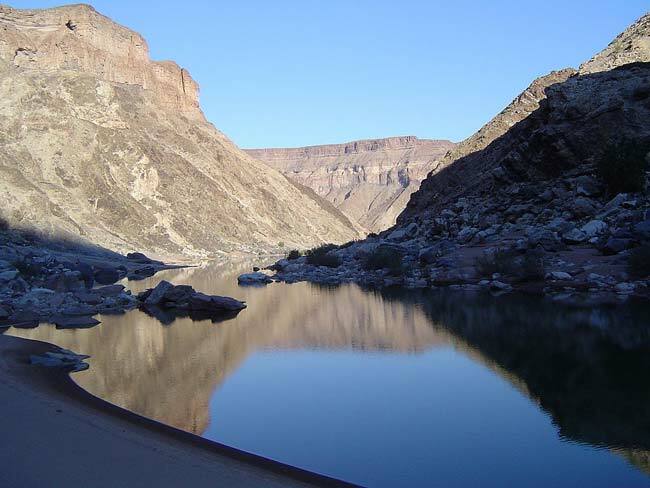 Many viewpoints present themselves at the edge of the canyon which is the perfect place to marvel at a sunset and there are also a number of campsites close by in case you wish to stay overnight in the area. 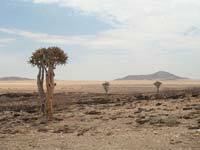 A visit to the nearby hot springs in Ai-Ais or visiting Sossusvlei enroute from Swakopmund are also some of the most popular things to do in Namibia. 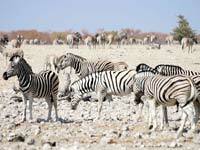 In the very north of Namibia, you will find one of the most diverse National Parks and most sought after safaris in Africa: Etosha. 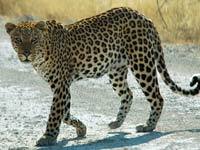 Renowned for lion, leopard, elephant, hyena, cheetah, zebra and pretty much everything else, Etosha is naturally a favorite for wildlife enthusiasts, but it is also home to a number of unique experiences which are not as common elsewhere in Africa. First, Etosha National Park is a self drive safari and a lot more authentic than other parks for the reason that the roads are unpaved and none of the surroundings are altered to enhance the visitors experience. Further into the park you will also find the Etosha pan, a wide expanse of salt which is similar to that of Salar de Uyuni in Bolivia, perfect for photography and an amazing sight that is often accompanied by animals who wander the outskirts of the pan. 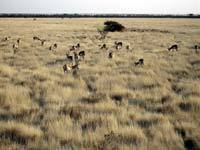 While the park is enormous in size (22,000 square kilometers), there is of course the opportunity to stay overnight at one of the several lodges in Etosha National Park which are spread across different parts of the park. Namutoni is the first gate which most travelers approach on the outskirts, but once inside, the camps of Halali and Okaukuejo in particular offer luxury accommodation at affordable rates and the once in a lifetime experience to sit up into the early hours at a watering hole to wait for elephants, rhino, hyena, giraffe and even leopard as they carefully approach their only water source. Although these camps are patrolled and fenced off, one of the most wonderful parts of the experience are the many monkeys, honey badgers and jackals who can be seen running around having somehow bypassed security. 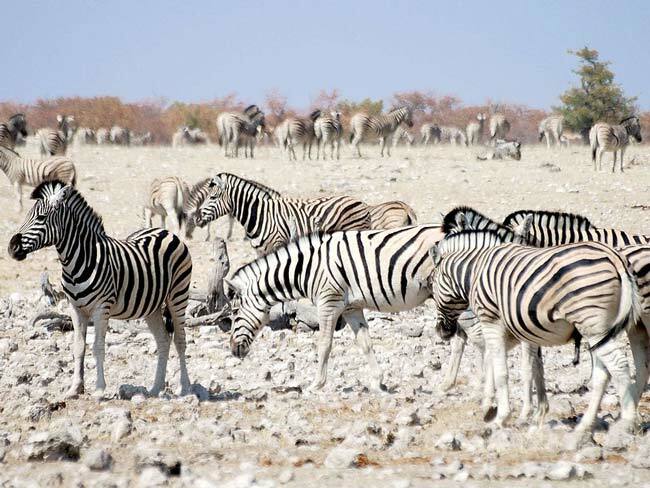 Indeed, there are many reasons to visit Etosha National Park and along with being one of the most memorable things to do in Namibia, it is often a highlight for many travelers who visit Africa. Adventure seekers who take a trip to Swakopmund will not be disappointed. Swakopmund is situated on the coastline of Namibia and known for some of the best seafood anywhere in the world, but the real attraction here is the wide variety of outdoor aventures and things to do in Swakopmund. Where else in the world can you freefall from 14,000 feet over an ocean next to a desert? Skydiving in Swakopmund is just one reason why many tourists descend upon the town and when you land in the middle of a desert, there will be no wonder as to why this is the case. 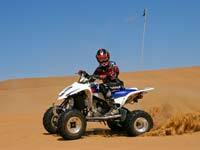 Another highlight is the opportunity to quadbike the immense sand dunes on the outskirts of town and regardless of whether you have any previous biking experience, many adventure tour operators will make it possible for you to find out how it feels to cruise across the most spectacular sand dunes with the Atlantic Ocean providing a backdrop. And then there is sandboarding, whether you want to try standing (in the same way as snowboarding) or lie down on a board and reach speeds of up to 70kmph, this affordable day tour in Swakopmund is arguably one of the most fun things to do in Namibia and a genuine highlight for tourists who visit this beautiful part of the country. Although, it is renowned for being the Adventure capital of Namibia, Swakopmund is a town infused with fine restaurants, historical buildings, great shopping and a lively nightlife making it ideal for a weekend stay or even a week long extended break. Either way, Swakopmund is most certainly a place worth visiting and overflowing with some of the most interesting things to do in Namibia.